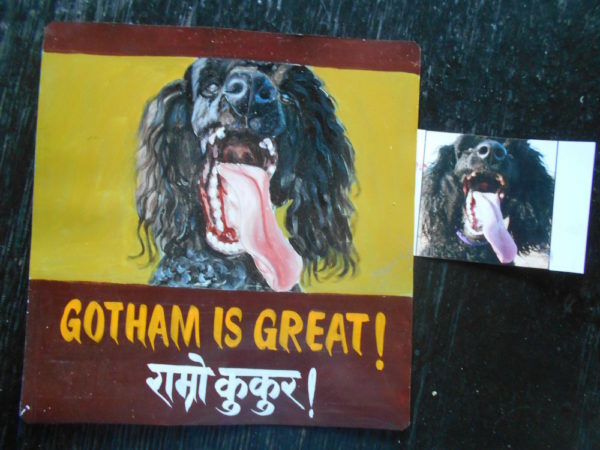 Gotham is Great is Gotham’s full name. This wonderful black standard poodle made the artists laugh out loud when they first saw his photo. The lettering can be changed at no cost to you.